Asia Frontier Capital (AFC) Ltd, a Hong Kong based fund management company that specialises in investing across a vast spectrum of Asian Frontier Markets, has recently unveiled the launch of the Luxembourg domiciled AFC Asia Frontier Fund (LUX) which will provide European investors with exposure to these high-growth economies. The Luxembourg domiciled fund will mirror the strategy of the successful Cayman Island domiciled AFC Asia Frontier Fund (ISIN: KYG0132A1013), which boasts an annualised return of 10.5% (after fees) over the past five and a half years and a total return of over 70%, whereas the MSCI Frontier Market Index returned just under 25% over the same time frame. The objective of the fund is to provide investors with exposure across some of the fastest growing Frontier Markets in Asia with solid demographic trends, rapidly increasing incomes and significant gross domestic product (GDP) growth rates. The fund invests in companies that perform business activities in the likes of Bangladesh, Bhutan, Cambodia, Iraq, Laos, Maldives, Mongolia, Myanmar (Burma), Nepal, Pakistan, Papua New Guinea, Sri Lanka and Vietnam. In terms of sectors, it focuses primarily in consumer staples, consumer discretionary, financial and infrastructure stocks. The new Luxembourg fund aims to adopt the same strategy while tapping into markets within the European Union (EU), especially those in Germany, Switzerland and the United Kingdom. The exposure to Asian Frontier Markets coupled with low correlation to world markets would make investing in this new fund an attractive proposition to those who wish to add some degree of diversification to their portfolios. “Europe is a huge market and the AFC Asia Frontier Fund offers the best in class exposure to the most interesting and fastest growing parts of Asia”. The AFC Asia Frontier Fund isn’t the only fund the company offers that has posted significant gains over the past few years. The AFC Vietnam Fund, which seeks to achieve long-term capital appreciation by investing in a diverse portfolio of underpriced small and medium cap equities in Vietnam, is ranked as the best performing fund in the “Emerging Markets Asia” category over the last three years after enjoying a 54.6% increase over the 36 month period and 82% since inception. The fund has been launched under umbrella fund “LS Opportunities Fund SICAV-FIS“, which is managed by Estonia-based company Limestone Platform AS. 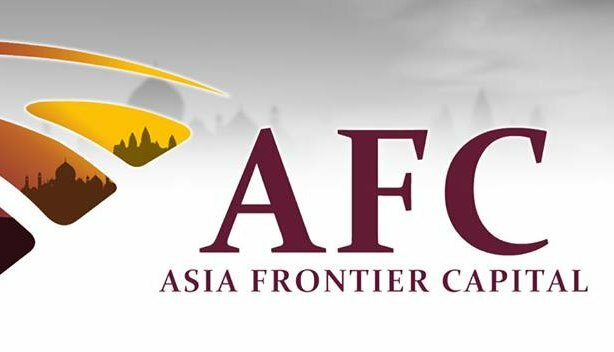 For more information on the AFC Asia Frontier Fund, click here. Click here to follow Asia Frontier Capital on Twitter.